How to Make Sādhana More “Natural”? What is Natural for Conditioned Souls? Natural is an adjective from the noun, nature, which is from the root, nat- which means “inherent.” Natural action is not forced. It is an automatic result of what is inherent in us. Natural things exist inherently, they doesn’t have to be manufactured artificially. Our inherent nature is full of desire to enjoy the external field of perception. So our practices cannot be completely natural; there will have to be effort involved. The key is to practice at a level we can sustain, and to gradually increase what we can sustain. Rajaḥ, not bhakti, causes stress and tamaḥ, not bhakti, causes depression. But if this is true, why are many spiritual practitioners stressed out and depressed? I see two reasons: (1) they are not practicing as much as they can, (2) they are practicing more than is naturally sustainable for them. Overzealousness occurs because we treat bhakti-yoga as another external object, trying to aquire more of it as a way to enjoy pleasures like renown, prestige, superiority, etc. These desires are raja-guṇa and cause distress. In the first case, they are not getting rid of rajaḥ and tamaḥ as quickly as they could be. In the second case, they are brining rajaḥ and tamaḥ into their concept of sādhana. The overzealousness of the second case occurs because we treat bhakti-yoga as another external object, trying to aquire more of it as a way to enjoy pleasures like renown, prestige, superiority, etc. These desires are raja-guṇa and cause distress. And since raja-guṇa inariably invokes tamo-guṇa, that stress invariably leads to depression. The key, then, is to practice at a level we can sustain, and to gradually increase what we can sustain. All sādhana is based on śraddhā. The root of that word, śrad, literally refers to our “heart.”Śraddhā is about our nature. 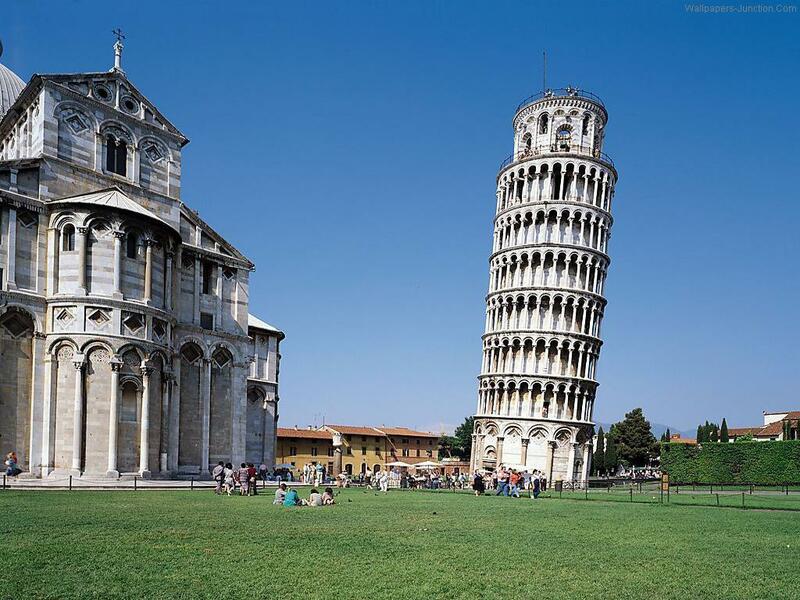 If our sādhana is more intense than what our śraddhā can support, it will fall over like the famous Leaning Tower of Pisa – which falls over because the ground beneath it cannot support its weight. The weight of our sādhana has to be supported by what we comprehend about life. We cannot expect to sustain something difficult if we don’t really understand the importance and realness of doing it. The most important thing is to deepen our comprehension of life. The deeper our comprehension, the more sādhana-weight we can naturally support. The most important thing is to deepen what we comprehend about life. The deeper our comprehension, the more sādhana-weight we can naturally support. Getting rid of misconceptions about life (anartha-nivṛtti) leads to niṣṭhā – deep and steady practice, which soon brings ruci – very significant positive experiences that radically upgrade the śraddhā. Don’t Just “Read” or “Hear” or “Study”… THINK, SEARCH, EXPLORE, DISCOVER! To deepen our comprehension of life, we should turn to śāstra. Śāstra is often difficult to comprehend, so it is essential to find someone who, to the best of your estimation, seems to really comprehend it, and ask them to explain it to you. In many modern circles of practitioners there is a strong taboo against creative exploration and investigation of the śāstra (“speculation”), but this, sadly, is a huge impediment to spirituality. Once you have an explanation, you have to really explore it, search the limits of how you understand it. Discover it. Don’t just “believe it” or “have faith in it” or “accept it” or even scholastically “learn it.” See it, taste it, feel it in the real world. In many modern circles of practitioners there is a strong taboo against creative exploration and investigation of the śāstra (“speculation”), but this, sadly, is a huge impediment to spirituality. In other circles śāstra is treated as an object of scholarship. This too falls short of the mark. Explore śāstra with your heart, and with your sādhana, too! Explore it until you understand it as well as you understand how to make toast, and see it as plainly as you see everything else you accept as real. You will probably make lots of mistakes, but that’s what learning is all about. Keep close to the sādhu-guru who really comprehends śāstra so that the flaws in your explorations and the misperceptions in your discoveries can gradually be ironed out. This exploration alone will make śāstra’s vidyā part of your nature, part of your heart, your śraddhā; allowing you to increase your practice in a sattvika manner. Explore it until you understand it as well as you understand how to make toast, and see it as plainly as you see everything else you accept as real. Very inquisitive, honest and thorough study of śāstra is absolutely essential. Understand the fundamentals of tattva, explained in summary in Bhagavad Gītā and much more elaborately in Bhāgavata Purāṇa bit by bit, step by step, patiently but thoroughly. Practice to the extent comes naturally as a result of what you have truly understood and can percieve as being true. If you keep this up, you will soon become truly advanced in bhakti-sādhana, and will attain its sublime goals. Previous Sri Caitanya in the Bhagavata Purana? Next Is the Bhāgavatam Vedic? A truly amazing post on the nature of Bhakti Sadhana. Your explanation was deep & incisive, light-years ahead of the trite pontifications that one often hears in ISKCON or Gaudiya Math circles. Thank you for that! Sadhna Bhakti wonderfully explained. Just wanted to add a comment. At the Management school, I had learnt that stress in a positive manner is necessary, as it pushes you towards your goal. Only when this stress spirals out of control, it becomes tension and if that remains unchecked it becomes depression. Observing that practically in the Corporate world, I had inferred that positive stress is Satto guna, Tension is Rajo guna and Depression is Tamo guna. If the stage of depression is also not checked, then may push one to suicide. I think Arjuna goes through these stages in the 1st chapter of BG, as by the end of chapter he says that let my opponents kill me unarmed, I wouldn’t fight, which is suicidal. So probably a little pushing in Sadhna Bhakti and comprehension of the Sastras should go on simultaneously synergetically. I am not sure if this inference is correct or not, but your article is brilliant, Prabhu ji. Naturally the corporate world wants stress to be a positive thing, because the corporate world is “absolute rajo-guṇa”. Actually stress arises only when there is desire, which arises only when there is want or need. Positive stress is not sattva guṇa, it is rajo-guṇa attaining its objective. Sattva guṇa is peace, not stress. Prabhu, but does exist a sort of “restlessness” also in suddha-sattva. So I think this is also what Stoka Krsna das prabhu is referring to by saying “positive stress”. I think we experience it also in Sattva when practicing bhakti. Probably you can present it in a more bonafide term. I refer to it as “restlessness” for what I understand. Rajas takes a similar form as the enthusiasm of līlā expressed in śuddha-sattva. Enthusiasm isn’t stress, but stressful desires are the equivalent of līlā’s enthusiasm. Maybe this is what you are getting at? Fantastic post I really liked it. Explanations are great, wich are very helpful to improve my sadhana. Thank you very much. This is a brilliant article. Studying, introspecting and experiencing what we have studied is the key to developing our faith and our progress. Thank you.